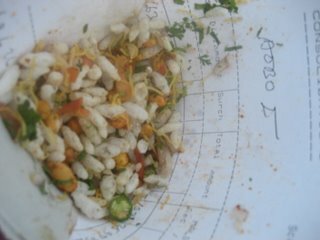 Bhel puri wrapped in a recycled paper cone from a street vender in Bombay. Tune: Disco Belle Inna Computer Style Mix from computerstyle.org starts out with Eek a Mouse's classic tune Anarexol and then moves into Junior Gong, Bounty Killa, and present day Eek a Mouse tearing up the tune Khaki Suit. The mix continues on for more than half an hour of vintage and modern dancehall classics. Tune: Ponton La Belle by Kékélé, a Congolese rumba band. Tune: Tikela Nga Mobali by Orchestre Bella Bella Pick up one of there CD's here. I discovered two of these tunes by way of Benn Loxo Du Taccu check out the site to discover more classic and new African hits and obscurities. 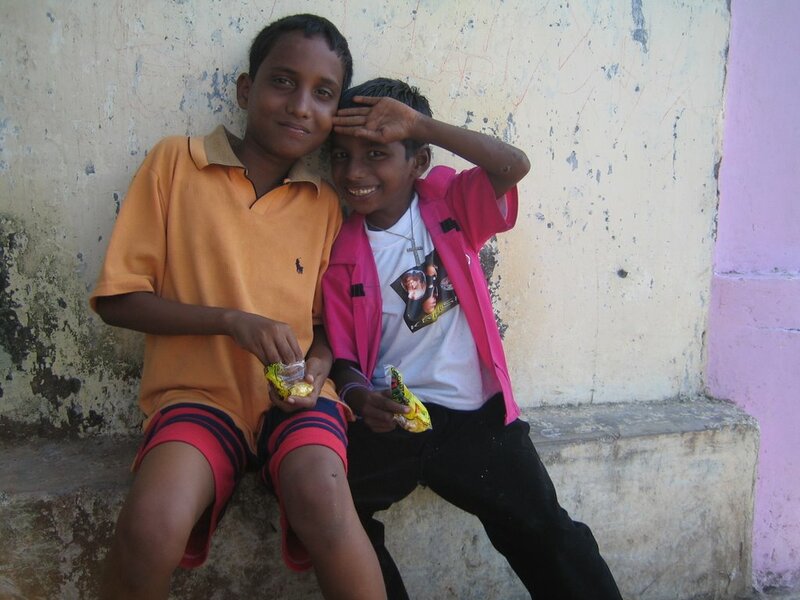 Kids enjoying a packaged snack in the Bombay sun. There are so many plastic packaged snacks sold on the streets of Bombay. Lots of small tiny packages of little treats. Chai used to be served in biodegradable clay cups. Now most chai on the street is served in little plastic cups. There is plastic everywhere on the street and in the sea along the coasts.